While a certain red sled usually owns the flight-related headlines this month, Santa's sleigh isn't the only one getting press this December. Several news outlets, it seems, are reporting on another vehicle taking flight. But instead of delivering toys to good girls and boys, the new Mayo One airplane delivers patients in need of immediate, advanced care to Mayo Clinic. And like Santa's ride, this one also has some pretty unique features, and the equipment, medication and staff to make it function as a sky-high Emergency Department. The idea is to get "the Mayo level of ICU and emergency care to patients quicker," Lisa Jelinek, a Mayo Clinic Medical Transport flight nurse, tells the Rochester Post-Bulletin. The paper reports that the plane is "the only such medical plane operating in the Midwest, and the specialized 52-inch cargo door — meant to accommodate stretchers — is believed to be the only one in existence in the Lower 48 states." Its staff includes flight nurses, and critical care paramedics and, depending on patient needs, respiratory therapists, perfusionists, and pediatric and neonatal transport specialists. 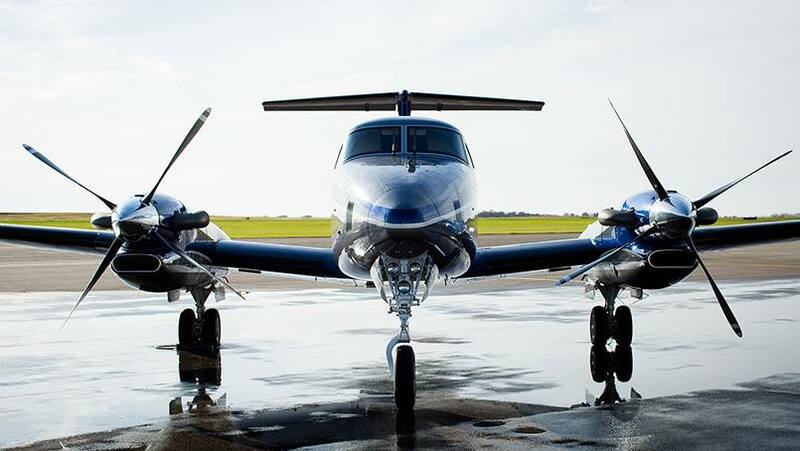 Mayo added the plane (a Beechcraft King Air 350C, for those keeping track at home) to the Mayo One fleet because the "volume of patients needing transportation to Rochester is increasing," Scott Zietlow, M.D., medical director of Mayo Clinic Medical Transport, tells the paper. The new plane joins four Mayo One helicopters, which transport around 2,000 patients each year. And while the helicopters "have quick response times and can land very close the scene, they have distance limitations and are often unable to fly in wet or windy conditions." (That always grounds us, too.) By contrast, the Mayo One plane can fly longer distances, has the ability to "shed ice accumulation," and sports an infrared camera "to further enhance visibility in the case of rain or snow." The plane went into service at the end of September, following a blessing ceremony that's become a tradition for all of Mayo Clinic's aircraft. It is expected to transport 300 or so patients each year, and "has already airlifted patients to Rochester from Montana, Texas, Louisiana and Pennsylvania," according to the Post-Bulletin. Not only that, but on several occasions, it has been called into service twice in one day. "The goal is to match the medical team with the needs of the patient and transport them to the most appropriate facility in the most cost-effective way possible," Dr. Zietlow tells the paper, noting that Mayo is "a very fortunate organization in that almost no other health care organization has these sort of transport options." For a peek inside the new plane and additional info on its features, check out this video featuring Lisa Jelinek and pilot Thomas Grandouiller (or Maverick, as we like to think of him). Then you can share your comment below and share this story with others using the social media tools atop this page.